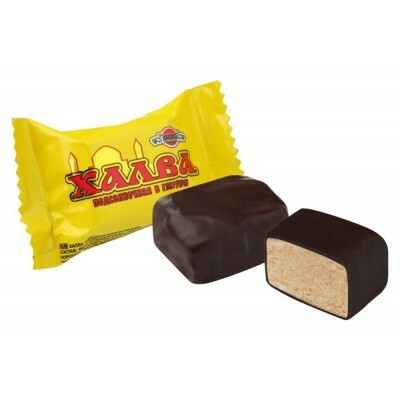 Candies "Halva" with chocolate icing (Sugar FREE) buy for 6.9900 in store RussianTable with delivery. Weight - 454gr. Chocolate glazed "Halva" candies with Fructose. Do you have any questions about Candies "Halva" with chocolate icing (Sugar FREE)?